Martin Scorcese’s 1990 classic Goodfellas is an epic chronicle of the lives and dramas of New York City gangsters in the seedy 70s, but much of this acclaimed director’s artistic energies are devoted to romanticising the culture and sense of community in the tight-knit Italian families of the main protagonists. Alongside detailed explorations of the nuances of these complex communities comes plenty of mouthwatering depictions of authentic Italian cuisine. Much of the action revolves around sumptuous helpings of spaghetti dishes, juicy cuts of meat, and giant pots of rich bolognese. 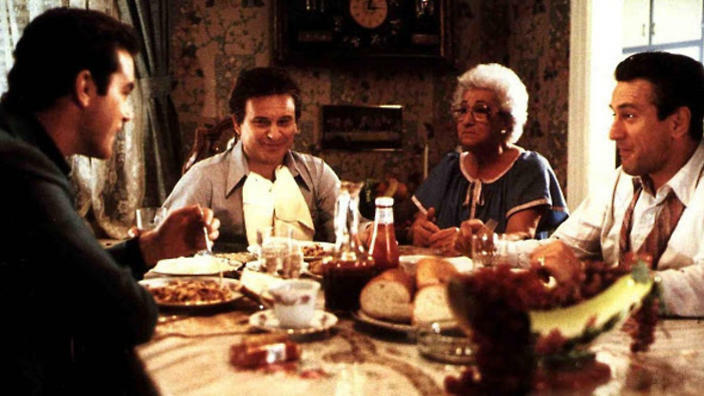 One of the climactic scenes of the film is centred around the main character trying to get the sauce for his Italian meatballs just right, and for the viewer, it’s hard to pay attention to anything else. You don’t need much of a sweet tooth to get the craving for some sugary treats after a few minutes of watching the 2005 film Charlie and the Chocolate Factory. Our love for sweet treats has long been portrayed across various forms of media, with even online casinos tapping into our sugar cravings, with Starburst at William Hill online casino being just one example of how even in the digital age, any hint of a sugar rush is enough to get people going. In this Johnny Depp reboot, viewers are treated to a visual feast of flowing rivers of chocolate, succulent lollipops, and impossibly tasty looking desserts in almost every scene. Food is certainly a focus in this film, but the way that it’s brought to life in vivid technicolour makes it one of the most memorable depictions in cinematic history. Sometimes animated films do food the best justice, and the 2007 film Ratatouille raised the bar for cartoon food. The action follows a rat in Paris who dreams of becoming an Haute Cuisine chef, who uses his simple approach to French fare, gleaned on the streets and back alleys of the French capital, to revolutionise the fine dining scene. Although few of us would regularly crave a steaming dish of Ratatouille in real life, one glimpse of the dish during the film’s most climactic scene is more than enough to have us checking Skyscanner for the next flight to the City of Lights.